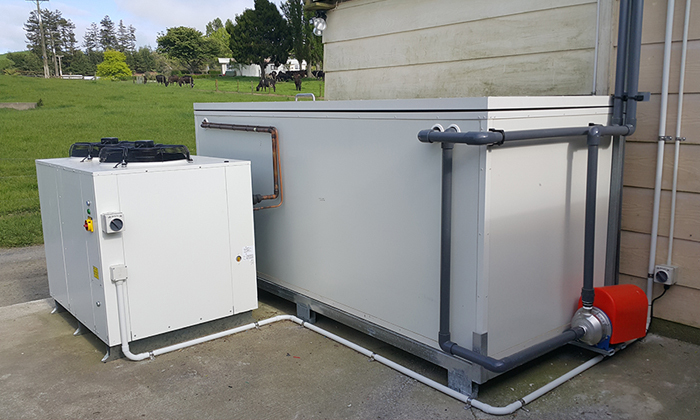 This system is based on building a thermal mass of ice in a water bath, which is then pumped through a heat exchanger alongside your existing primary farm water cooling system. De-superheater available to pre-heat hot water into HWC for wash down. Can provide up to 60 degree hot water while unit is running dependant on flow rate of water. This provides money savings due to reduced electricity consumption by hot water cylinder. Small foot print so can be located close to shed to minimise pipe runs and therefore reduce installation costs. 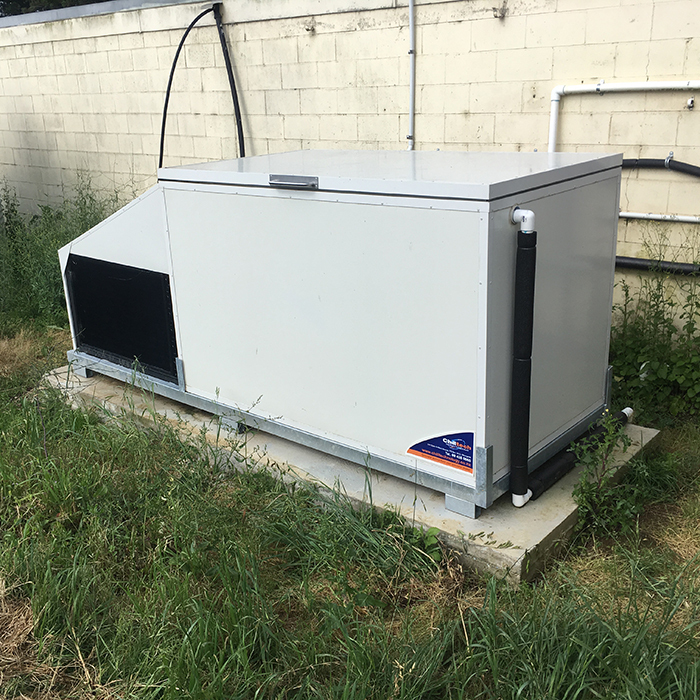 The Ice Banks have an integral refrigeration system so timeframes from the beginning of installations to an operating system are very short. 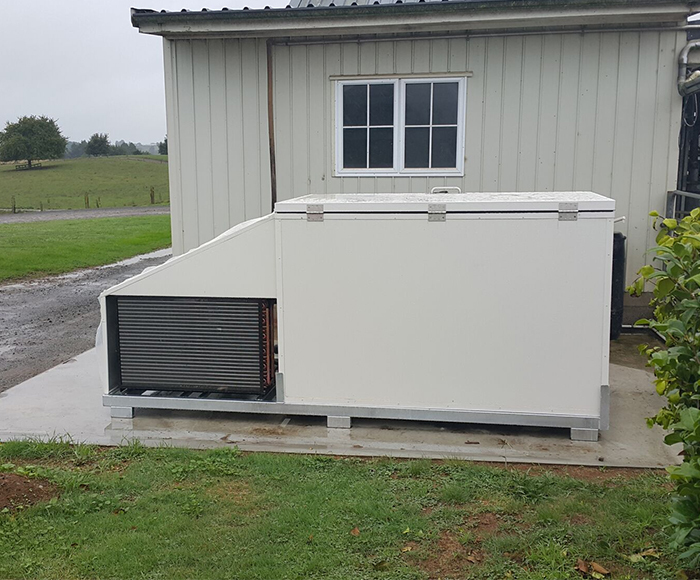 Chilltech installed a Power Chill Ice Bank system on a Northland farm in August 2016 and saw instant improvements in milk temperature reaching the vat and has recorded steady results ever since. Each of our case study systems have been fitted with data logging equipment in order to track performance and monitor water and milk temperatures. Powerchill 6hp Ice Bank Installed c/w de-superheater & integral water circulation pump. 9000 litres per day milk production at peak.